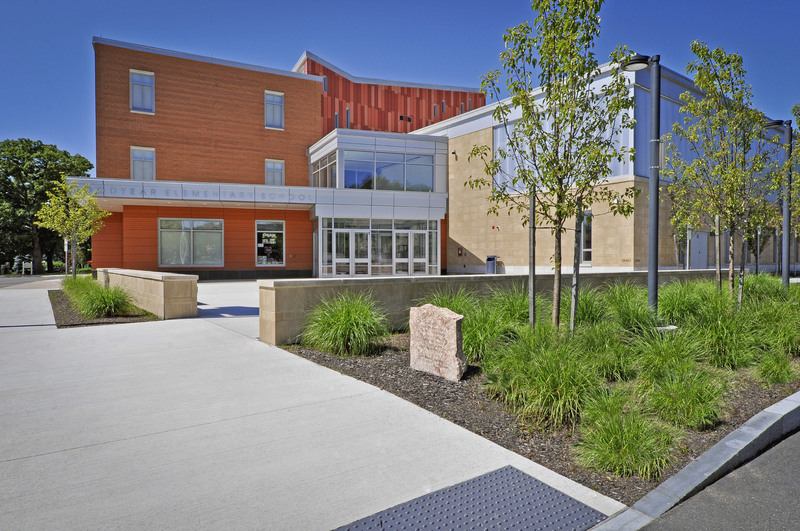 Enlarging the new school footprint on this spatially constrained existing property required a complete rethinking and redesign of site circulation, parking, building and outdoor area activities. 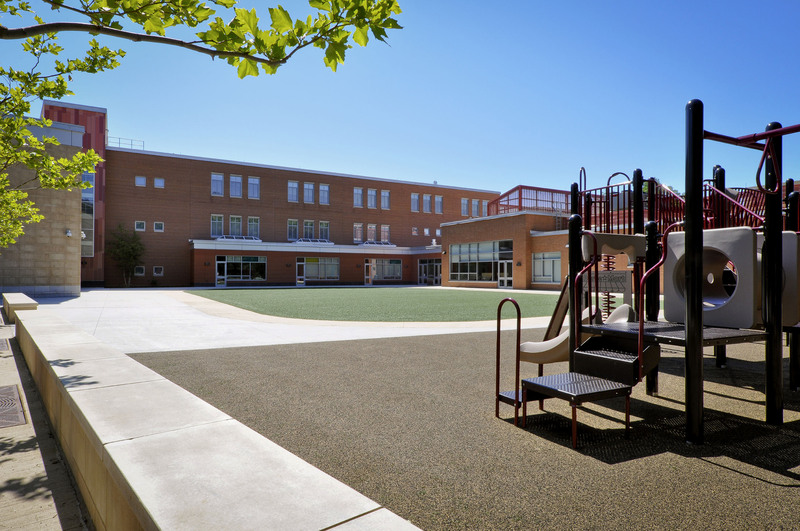 The new school was sited close to the busy Montvale and Central Ave intersection which allows for a comprehensive outdoor play area program behind the building away from traffic and protected from the elements. In addition to separate bus and parent drop-offs a central pedestrian spine was included to keep pedestrians safe. 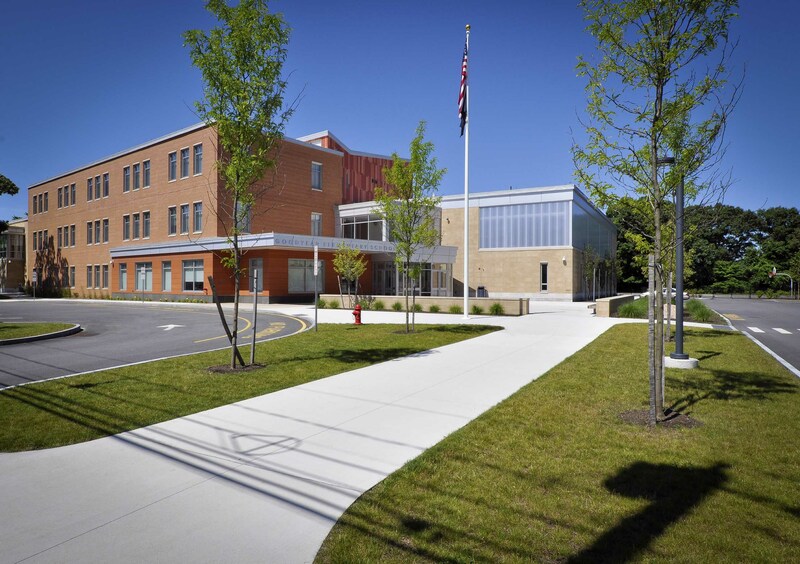 Like most recent public school projects in the state, green design principles are incorporated into the project and will comply with the Massachusetts Collaborative for High Performance Schools Program.